Ideal for printing and layout professionals. Calibrated with inches and picas on one side and centimeters and points on the other. 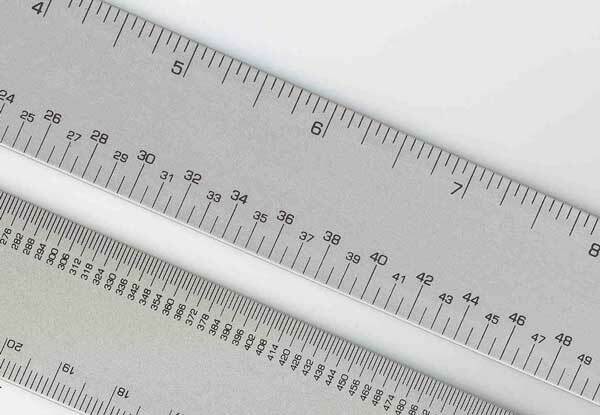 The Alumicolor® proto anodizing process make the calibrations a part of the aluminum, providing a smooth, tick-free finish and markings that are resistant to cleaners and solvents. Great for students or graphic professionals. 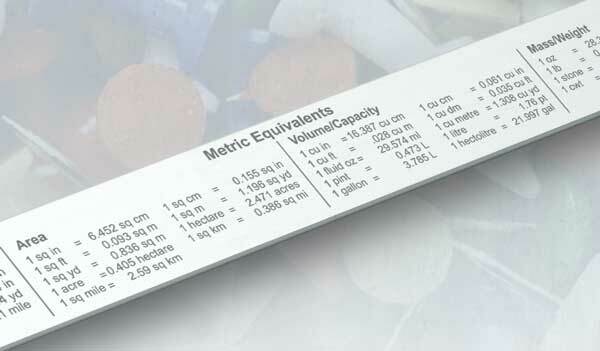 Calibrations include inches, picas (with standard newspaper column widths), type point sizes and rule widths. 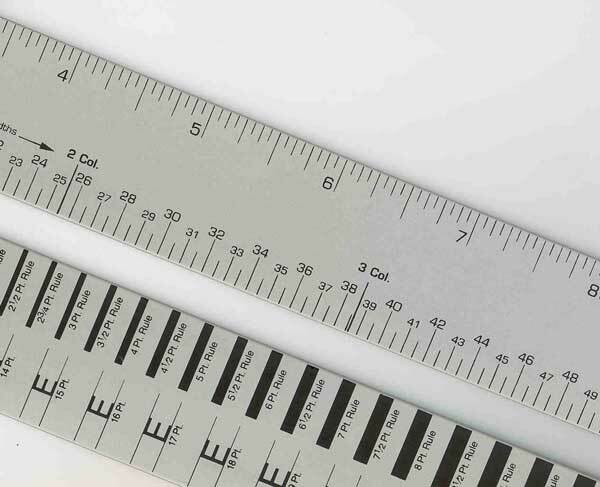 A handy multi-purpose 12" straight-edge with inches and centimeters on front and metric conversions on back for linear, area, volume/capacity and mass/weight measures. 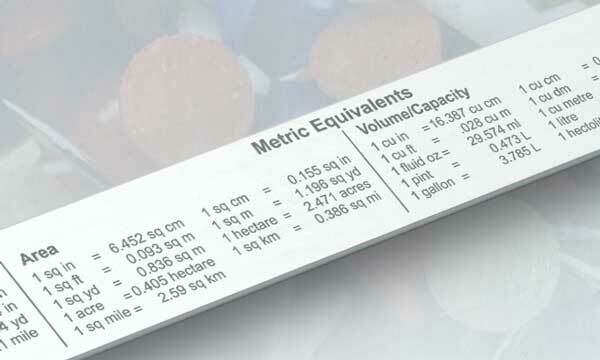 Dimensions: 1.156" wide, 0.070" thick.